What is a Licensed Locksmith? Most of us do not think about locksmiths until we are locked out. Then you either fall into two categories: Those who need a locksmith who will hire the first locksmith that they can find and then individuals who will do as much panicked research as possible before hiring a locksmith to help them. Regardless of what category you fall into, you should always hire a licensed locksmith in Spring and Woodlands and here’s why. As you can see, for anyone to even get near locksmith tools and hired they must have obtained all the proper paperwork and have all the proper professional and personal qualities, including mental competency. Also, your locksmith, in addition to all of these will have apprenticed or will have gone to to locksmith trade school. If someone chooses the apprenticing route, the locksmith shop they choose must belong to a trade association, such as Texas Locksmith Association, Greater Houston Locksmith Association, Locksmith’s Association of San Antonio or North Texas Locksmiths Association. After two years of experience, the locksmith apprentice can apply to become a manager of their own shop. A locksmith that you hire won’t be without experience. When an employee joins a locksmith shop, they have two years to obtain licensing. When you hire a locksmith they will either have experience or be under the guidance of one who has years of experience. And when you work with Affordable Locksmith of Texas, you can assume that your locksmith will know what they are doing. They will put you, the client first in all that they do. We require every locksmith in our employment to meet our high standards. 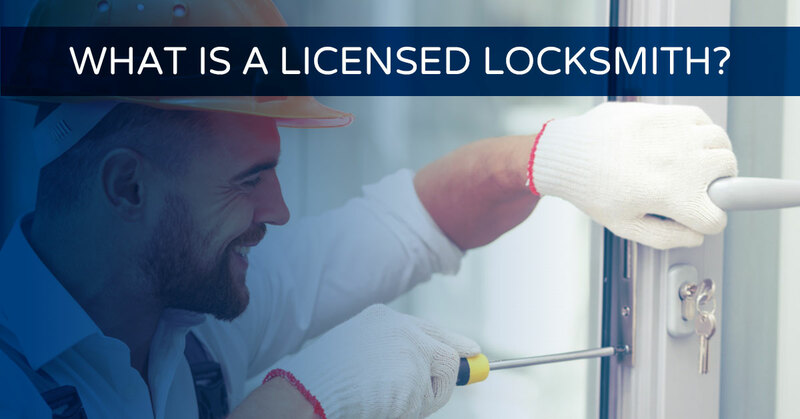 Though not every locksmith has to be licensed, reputable locksmith shops, such as ours, will have the necessary licensing and will guarantee you that you have someone working on your locks that not only knows what they are doing, but is a trustworthy person. In Texas, a locksmith shop will have to apply for a PSB-01 Company License Application, as well as PSB-04A Owner/Manager Application in addition to classifiable sets of fingerprint cards, three years experience or a bachelor’s degree in criminal justice and completion of Qualified Manager’s exam. Residential – We are a local locksmith who is available 24 hours and 7 days a week. We help you gain entry if you have lost your key, need to rekey your home, repair broken locks, and more. Commercial – We are also commercial locksmiths who can help your business stay secure with rekeying services, access control, and more. Automotive – In addition to these, we offer auto locksmith services for when you are locked out of your vehicle or when you need new keys. New & Replacement Keys – Our locksmiths understand how frustrating it can be to lose your keys: We can replace your lost keys for a variety of locks. Call us! Transponder Keys & Key FOB Replacement – We all love our keyless entry devices until they don’t work or we lose them. We’ll help you with transponder key replacement, duplication, and more. Emergency – Our locksmiths are here for you when you are locked out. We will respond to your call within 15 minutes every time. You can count on it! As the local 24 hour locksmith of Woodland and Spring, we’d be happy to answer any questions that you may have about our locksmith services and licensing. Call us today! We’d love to help you!